Get The Perfect Gifts for Coffee Lovers, All Under $15! If you are a mom with a busy schedule like me, then you likely need coffee in your life. Along with my love for coffee and all its benefits, I also have my favourite set of mugs to drink my coffee from. Today I want to share with you the best gifts for coffee lovers, all under $15! I was so excited to receive my very own personalized coffee mug from 5amily.com. Shipping is fast, so you won’t have to wait long to have your own. I totally love my new mug because it is so hard to find mugs with my name spelled my way. I usually find Sherri or Sherry, but now I have one with my name spelled the way it should be. The high quality ceramic coffee mugs come with a glossy finish, and are dishwasher and microwave safe. What I like most about 5amily is that they have a large range of products that you can choose from.Decide on what type of product you’re interested in and hobbies you enjoy. Then you come up with personalized and unique design variations you want. Do you have a caffeine addict in your life? 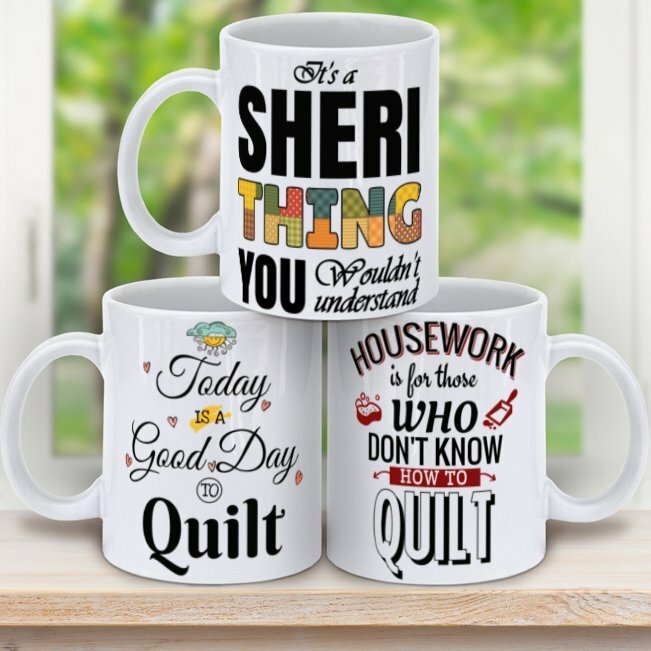 Or want to gift your friends or coworkers something unique? 5amily will help make your search for the perfect gift easy. Plus they ship internationally! Get this mug, a shirt, or a sweater to make the best gifts for coffee lovers, all under $15! You can also find an array of t-shirts, phone cases, and other awesome gift ideas. In a few simple steps, you can create amazing gifts for your loved ones or for yourself. I love to start my day with coffee and this mug always puts a smile on my face. Let me know how you like these mugs, and if you will getting one of these for yourself or gifting it. We really love the coffee gifts, as we got the whole set of cups for taking coffee during last winter. I am very pleasant after reading this post. Thanks for posting your blog here. These are such beautiful gifts option for a coffee lovers. They can be easily customized as well. I definitely need these.